Homeschooling has it's own set of ABC's. Of course the list may vary from homeschooling family to homeschooling family but here are just some of the many benefits to homeschooling. A is for Abundant- - I couldn't think of a better word for A than abundant. 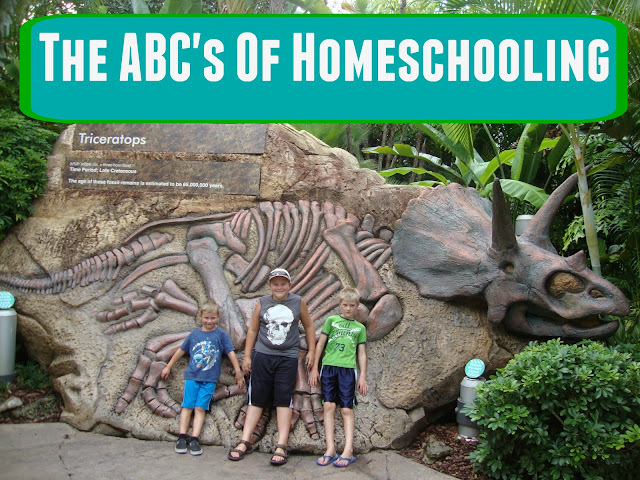 There are abundant resources around when homeschooling. There are also abundant topics to learn about and abundant opportunities to learn. Learning is a life long process and who's to say which topics should be taught or even when they should be taught? We get to pick what we want to learn about, when we want to learn about it and even how we want to learn about it. We take advantage of as many resources as we can and include lots of field trips, help from "experts", and fun hands- on projects. It's a wonderfully rich and full lifestyle of learning and we never run out of topics to study or places to visit. 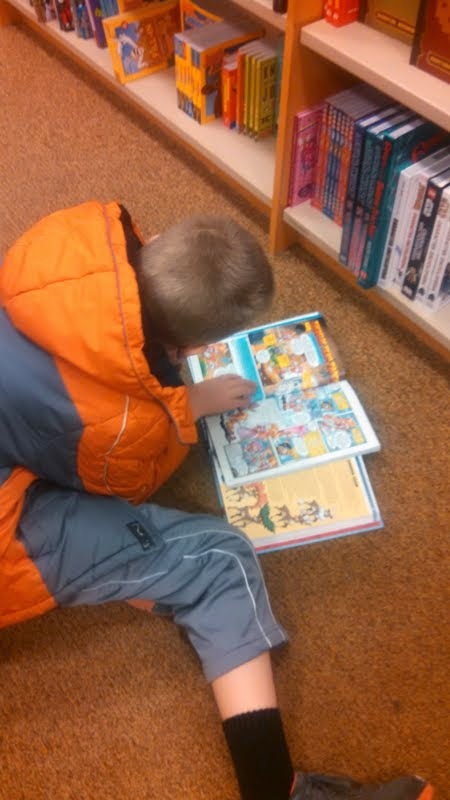 B is for Books-- No homeschooler can talk about homeschooling without mentioning books. My boys and I read a lot. We read fiction, non- fiction, poetry, etc. We listen to audio books, read chapter books and rely on our library for 99% of our subject matter. We have so much time for reading I'm often amazed at just how much we cover in a year's time. I used to try and keep a book list for each boy for each year but found that it was just so much work to keep up with when some days we can read up to 5 books each. I know we read a lot and with each book we read they're becoming better listeners, readers, and students. C is for Creative-- Many people assume they need to be creative in order to homeschool and while I would argue it doesn't hurt I would also argue that you don't need to be creative to teach. Just allow the kids to be creative and be open to thinking outside the box. Kids have amazing creativity if it isn't squashed out of them. All kids. Really, they do. It might not be arts and crafts kind of creativity but they are thinkers and doers by nature. They naturally push the envelope to see what else they can create, do, or make up. Once they find an outlet they're usually off and running and leaving us to catch up with them. I love watching my boys take off with something and knowing that they can be as creative was they want. D is for Different-- We have a different lifestyle than most families. We have a different outlook on life and learning. We have a different schedule and we have learned to appreciate differences in others. My boys learn about life by my side. They take their cues from me and when they see me shrug or smile or encourage a child who may be different in some way they too learn to shrug, smile and encourage. They know that everyone's differences are what makes our world special and no one should feel bad for being different; we're all different. My boys don't feel a need to conform to their peers. They play with what interests them, wear what feels comfortable to them, and in general don't seem to worry about what others think of them. They aren't afraid to be different. E is for Everyone-- everyone can do this!! While us homeschoolers will admit that homeschooling may not a good fit for everyone, everyone can do it. If you taught your kids to walk, to talk, to feed themselves, and get dressed; you can teach them math and reading too. F is for Field Trips-- One huge benefit we enjoy in our homeschool is the ability to get out and go. We take frequent field trips to zoos, museums, historical places, and even enjoy many discounts. 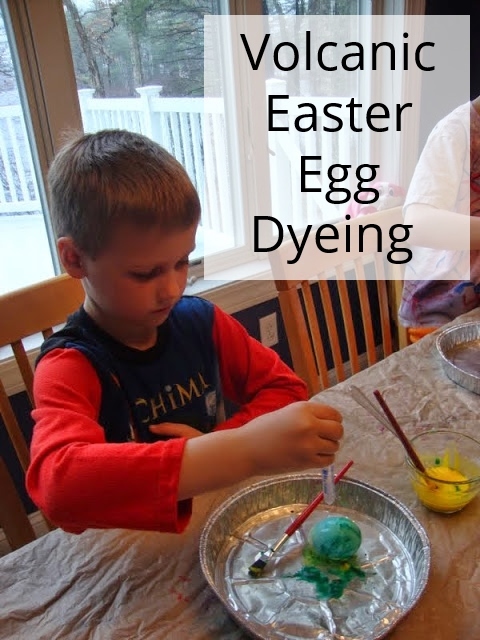 Connecting the materials we've read about in books to real life experiences is a priceless aspect of homeschooling. I often can't plan what learning will take place on a trip and willingly visit the same places over and over and over again as requested. They gain something from each trip and file away experiences and bits of knowledge that are meaningful for them. Over time these experiences show themselves in various ways and help them make connections from one thing to another. It's amazing to hear them remind me of some obscure fact we learned on a trip somewhere a few years back and I'm not ashamed to admit if I can't remember it too. Usually their memory is so vivid that they can patiently explain and re- explain in different ways until I too remember, but sometimes it's a portion of our day that they focused on that I didn't. I love knowing that something we saw can pop back up at anytime and help us make another connection. G is for Games-- We play a lot of games; educational games, board games, physically active sports games, and completely made- up games. Games are fun and engaging. They often include a lot of learning. We develop skills like reading, writing, drawing, math, had eye coordination, and our imaginations when we play or make up games. H is for Hands- ON-- Most people would argue that hands on learning is best. However not all schools have time for lots of hands on learning; we do! We have acted out periods of history, we run basic and simple science experiments several times a week. We use manipulatives for math to show addition, subtraction, multiplication and division. We graph Halloween candy, go to the store to spend read money and figure out change. We don't make every lesson a hands- on lesson, but we could if we wanted to. I is for Ideas-- I fully admit that I don't make up the majority of my teaching ideas off the top of my head. I constantly search for learning games to play, fun activities to try, and science experiments that would "wow" the boys. I use Pinterest for most of my ideas and buy or borrow almost any book that promises fun, hands- on learning ideas. You don't have to have the ideas but it sure helps to know where to look for them. J is for Joy-- Finding joy in life and in the little everyday things has become a key to our homeschooling journey. I encourage my boys to find joy in experiences and not things. We associate learning with fun. We share joy in learning and in triumphs. I hope I'm teaching them that living life to it's fullest doesn't necessarily mean being rich and having all the things your heart desires but finding contentment with what you do have and being thankful for the live you're living. I love the saying "find joy in the journey" because I think that's what life is all about and hopefully my boys will too one day. K is for Knowledge-- Learning, teaching and knowledge are words that seem to go hand in hand. We assume that if someone is teaching then the kids are learning and they are storing that knowledge but that is not always the case. I know from my own school experiences that a lot of what I was taught I learned (at least long enough for the test) but then forgot; so I don't think I can really classify that as knowledge. Knowledge is actually defined as "facts, information, and skills acquired by a person through experience or education" and since most of us gain the most knowledge by experience I focus a lot on experiences with my kids. Knowledge is key, not always just teaching! L is for-- Life Skills-- I never used to have enough time in the day to teach my kids simple tasks like cleaning, cooking, laundry, and a myriad of other daily tasks that I lump into the category of life skills-- and now I do! 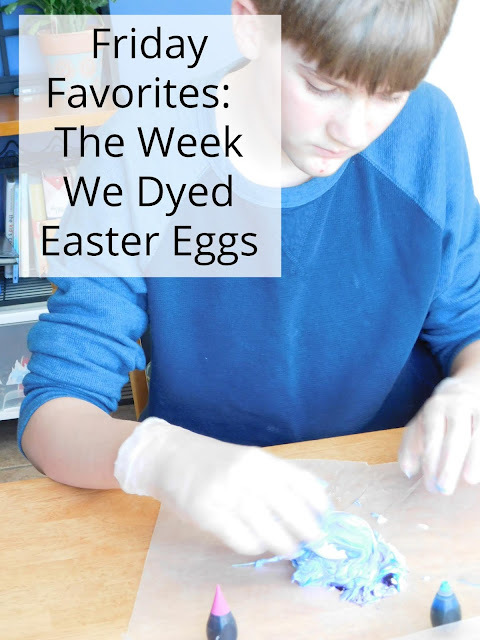 My boys help cook dinner once a week, make snacks, lunch, and breakfast when the fancy strikes them, they wash and dry their own clothes, they help clean every room of the house, and we talk about banking, budgeting, and balancing a checkbook. They can debate the benefits of credit cards and debit cards and tell you how they are different. They know basic sewing and can fix loose buttons or small holes in stuffed animals and pillows. They know how to use basic tools like hammers and screwdrivers and watch/ help my husband with household and building projects. They have helped paint walls and figure out the square footage of rooms to know how much paint to buy. M is for Morals-- I don't worry nearly as much about peer pressure or my kids learning bad habits or language from other kids as I used to. Since they spend a good portion of each day with me I am able to instill good morals, values, and ethics in them. They turn to me for most of their answers and not to their friends. We talk about everything and anything and I hope that as they grow this will continue. I'm certainly not saying that homeschooling is the only way to teach and instill values and morals in your children but it sure does seem to make it a whole lot easier. N is for Never Ending-- I firmly believe that learning never ends. Never. The saying "you learn something new everyday" is a popular saying for a reason. So I try to remember when one of my kids is struggling with a subject or just has a complete lack of interest in it that there is time. We have no set dates that they must know everything by; they can tackle subjects that they need to know (or want to learn about) at any time in their lives. I focus on fostering a love of learning that will carry them throughout life. Learning should be intrinsically motivated and as long as my boys know where to find information and how to teach themselves then they can learn any skill they need at any time in their lives. O is for Opportunities-- Homeschooling has really opened us up to many opportunities partly because we have more time to do thing but also because there is such a huge community of homeschoolers that want to share their passions with others. We've taken classes and field trip on/to things and places I never even knew existed! The boys took trampoline lessons (as in Olympic, gymnastics type trampoline training), we've taken belaying classes and have gone indoor rock climbing, we've tried Yoga classes, karate classes, and will be learning first hand how to make maple syrup. We've toured local historical houses and learned about such historical figures as Prudence Crandall. It's fantastic to see how the world opens up when you open yourself to new opportunities. P is for Play-- All kids, no matter the age, need time to play. Just do a Google search for the benefits of play and the results are overwhelming. We know play is an integral part of child development, yet children today play less than just about any other group of children in our nation's history. I'm talking about free play here; where kids guide themselves and there are no adults outlining the rules of the game or overseeing how it's played. I know many kids are more involved in activities than ever before but the majority of them are adult directed and not nearly as beneficial for growth and development as free play. As homeschoolers we have plenty of time for free play. Play helps develop critical thinking skills, problem solving skills, and improves language and memory; just to name a few benefits. Q is for Quality-- I look for quality of learning over quantity of learning. We don't move from one subject to the next until my kids are showing mastery (or extreme frustration or boredom). We move at our own pace and can dive in deeply to any subject they are interested in. I'm sure there are things that they "should have" known by now that would have been taught in school but I also know there are other subjects that they know so much about that would never have been covered until they were much older. They have a deeper understanding of those subjects they are passionate about and they are always encouraged to feed their passions. R is for Respect-- Homeschooling has allowed me to develop a deeper respect for my kids as well as instill basic respect in them for others. I didn't realize how much I used to railroad over my kids and their feeling trying to get something done when we always felt pressured for time. I didn't realize how often I bypassed their feeling for the good of the family. Slowing down our world has allowed me to really stop and listen to them. I hear their fears, share in their discoveries and have a much better understanding of what they are like as individuals. As often as I can I respect their choices and allow them to be heard. In showing them respect they are much more likely to reward me with greater respect as well. I never thought homeschooling would strengthen our entire families' relationships the way that it has. I often find myself wishing we had started our journey much earlier. S is for Socialization-- how could it be anything else? Mention the word homeschooling and just about everyone asks about socialization. Most homeschoolers will tell you that, if anything, we are over socialized. There are so many great activities and group meet-ups it can sometimes be difficult to find the time to cover our schoolwork because we feel like we're always on the go. My kids learn to interact with people of all ages from infants to the elderly. We encounter a wide range of people in any given week and my kids are not shy about speaking up. Life isn't about spending your day in a room full of other people your own age; kids need to learn to interact with people of all ages and mine have that down pat. T is for Time-- we have a much more relaxed lifestyle than any of our public school friends. We have the gift of time. We have time to play, time to learn, time to rest and relax. I have more time with my kids and get to watch them grow and explore. We have more time together as a family and I'm watching my boys grow up to be great friends. Did I mention that we only spend a few hours a day on school? Typically we're "done" our schoolwork in about two hours. It's like we have a half- day everyday and my kids actually like to brag about that. I like to think about it in terms of we finished our book work in two hours and then it's time for some exploratory/ fun learning but really we can call it whatever we want. All I know is I wouldn't trade this time in my life for anything in the world. 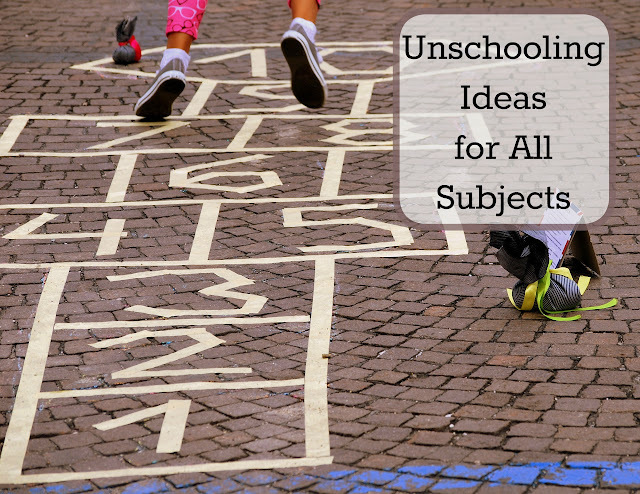 U is for Unschool-- There is a huge group of homeschoolers that follow a philosophy of unschooling. Basically the parents allow the kids to learn through play, exploration, and their own interests. They don't do book work unless the child is interested in it, they don't plan and implement lessons; instead they facilitate learning by showing their child books, games, toys and activities based on their interests. The kids pick up skills as they need them or become interested in them. All of this is based on a belief that kids intrinsically want to learn and will learn every day in every way by the world around them. For those of us not relaxed enough to unschool year round we can still fall back on unschooling at times. For my family this means my kids are learning on their days off, on our family vacations, even when I'm not teaching. If you look for it you will find evidence of learning in everything they do. I find this a great comfort when I feel like we're just not covering enough material. V is for Vacation-- We can set our own schedule for the entire year. We can take breaks when we want to or when we need to. This also means we get to go on vacation whenever we want. We avoid large crowds, are able to find great deals on hotels and park tickets, and enjoy attractions at our own pace. There's nothing like a Disney trip and getting to walk onto every ride and attraction without waiting. My kids have been picked for stage shows, parades and demonstrations at many parks, museums and attractions simply because we were there when not many other people were. 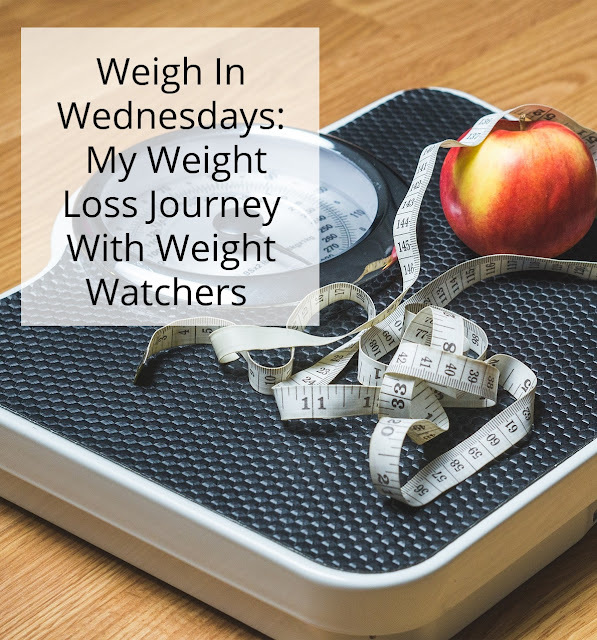 W is for Wait--- When you homeschool you don't have to teach certain subjects at certain ages. You can wait until your child is ready to learn and that usually allows you to cover the material in a much shorter time. For instance, I taught my third grader to read a clock down to the minute in under 10 minutes. He has never once forgotten how to tell time or made any mistakes since. He was ready to learn and was asking me questions about how a clock works. He was interested and so it was easy. X is for Xtra-- OK, I know that doesn't technically start with X but I really couldn't come up with anything good for x. But I do think there are a lot of extra things that have come into our lives because of homeschooling. We have a lot more fun, we have a lot more time, we have a lot more memories, and we have a lot more family time together. We'll pop in and visit my husband at work to take him out to lunch. We'll go on last minute business trips with him and get to see some more of the world. We do a lot of extra schoolwork too; though it's not always in the form of book work we have a lot of time in our days to delve deeply into subjects. I know what they're learning about and what we've covered, I know all the various field trips we've been on and I'm able to help them make them make connections and jog their memories when I need to. We have more time to spend with extended family members and meet new friends. We have a lot of new people in our lives that we would never have met if we hadn't started on this journey over three years ago. Homeschooling has brought a lot of priceless "extras" into our lives. Y is for Yes!-- I used to be a "no" parent. No, you can't watch TV before school. No, you can't have a sleepover on a school night. No, you can't stay up late reading in bed. No, you can't stay up to watch a movie. No, you can't go out and play you have to do your homework. No, we can't paint right now we don't have time to clean up the mess before dinner. No, you can't have candy for snack, the school doesn't allow it... the list goes on and on. Now I find I'm able to be a yes parent. Yes, you can watch TV in the morning. Yes, you can have a sleepover. Yes, you can read in bed. Yes, you can watch a movie just sleep a bit later tomorrow. Yes, please, go outside and play! Yes, we can paint we'll just eat dinner a bit later (and go to bed a bit later). Our schedules are much more flexible and that has allowed me to be a lot more flexible. I love being able to be a yes parent and not have to worry so much. Z is for Zealous!-- My boys have become zealous learners. They each have areas that they are passionate about and allowing them to indulge in those passions has helped them blossom. They aren't enthusiastic about every topic but if you get Ian talking about heavy equipment, or Alec talking about animals you'd better watch out! Alec can out talk most of the zoo workers and has devoured every book on animals we can find. He reads about them, watching movies and YouTube videos about them, and is always looking for new facts and new species to learn about. Ian has long since exhausted our library's resources about heavy equipment. He is most excited when he actually gets to drive excavators and help out around the yard and grounds. He has begun memorizing makes and models and can identify them when we're driving down the highway. He watched TV shows, movies and YouTube videos about them. I'm pretty sure he even dreams about them. These passions would never have developed to the extent they had if my boys had stayed in public school. They wouldn't have had the time or the autonomy to chose what they wanted to learn about. They have long since surpassed my knowledge level in either of these fields and they have become the teachers. These passions may not last forever but whenever they find a new passion they're free, happy, and willing to immerse themselves in those as well. So what do you think the greatest benefit to homeschooling is? Love this alphabet! Thank you for teaching us our ABC's :) I'm going to read over them again and soak it all in. Thanks! I know it was a lot to take in all at once. Hope this weekend is an adventure!!! Thank you! That is quite a compliment. I do feel like everyday is an adventure; or at least try to make it adventure.